Previously, we talked about install PowerShell Modules, and now, we’ll connect to Office 365. 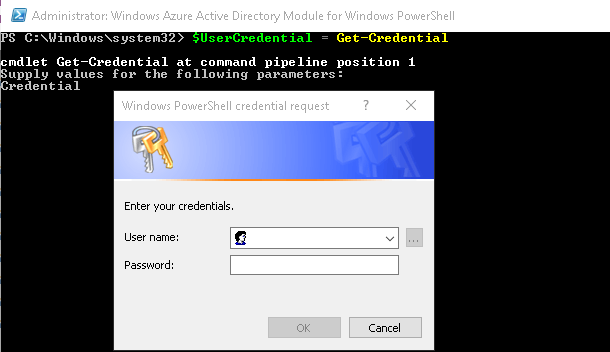 So, the run the follow cmdlets with Admin privileges. After put your credentials, you will be within Office 365.